First out-of-town getaway for year 2016 is also the first “packaged” trip I ever got to join. By packaged I mean, I just had to reserve a slot, pay a certain amount then all is done and arranged for me. I just had to pack my own personal things then show up on the set rendezvous. That means I also had the chance to be mixed with a group of people who were entirely strangers to me. Now it must take me a lot of more packaged trips to fully decide if this works for me (personally) but this first time is good that it makes me want to plan the next trip I’ll join with the same trip organizer. The Foton View Traveller which carried our group to and fro Bato Springs departed from Buendia at 10:20am. We stopped by an eatery in Sto. Tomas, Batangas for lunch then went on the road again for 2 hours more of travel to Bato Springs. Cottages are spacious and are convenient for grilling and cooking. To say that videoke is a hit in this place is an understatement. It is advisable to either bring food and water supply or to buy from stores outside of Bato Springs Resort premises. The nearest store outside is around 100m away and that’s where our group bought gallons of mineral water, toiletries, chips and other stuff. There are vast choices of food, beverages, liquor, and even cooked food from Bato Springs but they come very expensive. Big pots for cooking can be rented with Php500 deposit. Appliances can be taken in at Php50 each. Though it has made the area a bit full of flies,the place is convenient for grilling and washing dishes. There are lots of free power outlets for charging mobile phones per cottage. In our case, we had six plus the ones intended for the adjacent empty cottage. We just had to take turns. Life buoy or salbabida are also for rent at Php50. I assume those are for kids even though 2 adults from our group seriously considered bringing their own. Water is at 6feet deep maximum. Videokes are so prevalent (can be rented at Php500 per day, up to 10pm) in various cottages that it’s a bit difficult to sleep at night. The only counterattack is to make noise as loud as nearby cottages with your own laughter during drinking session. There’s a common/public hall very near the springs which has videoke at Php5/song (also until 10PM only) for everyone’s use. Consider a day trip, just leave Manila really early. I think it’s convenient also for day trippers as the public shower rooms are also well-maintained. My concern with water pressure in some resorts is no problem here; modest toilet and bath are equipped with very useful hot shower. Water in Bato Springs is veeeeeeeery cold it creates shiver to the spine with just a half-hearted dip of your toes. Night swimming here is only for the brave. Bato Springs is famous for its coooool water. 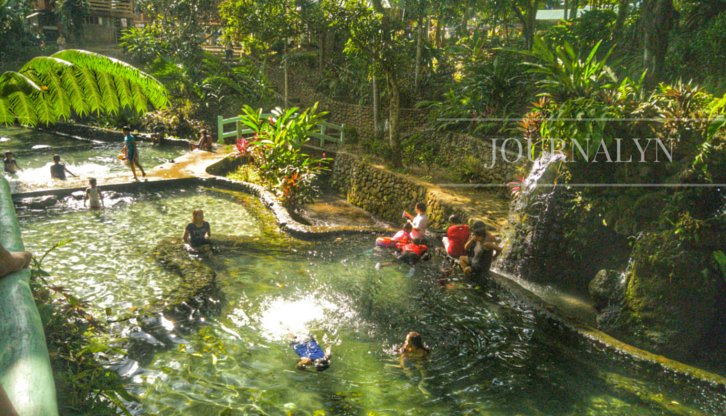 Bato Springs is a fusion of natural and man-made springs. The swimming pool (usually dominated by kids because it’s shallow) is obviously man-made. 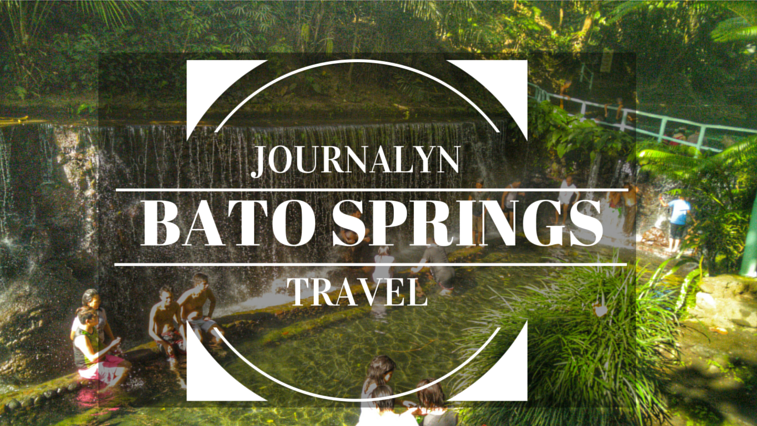 We spent the first afternoon guessing which parts of Bato Springs are man-made and which parts are natural. Dinner and socials a.k.a. drinking session filled the night. I have high regards for well-travelled people because they always have the most interesting stories to tell. Life is really lived differently by people who choose not to live life in a single place. I don’t drink and I’m a.k.a. Ms. Tulog so after eavesdropping I was the first to retire to bed. Breakfast is hosted by the organizers on our second day. 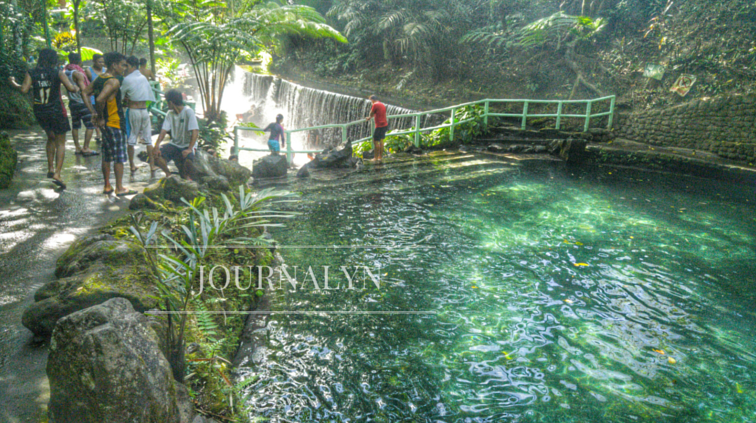 We explored the rest of Bato Springs until 4pm then headed on our 3.5 hrs way back to Manila. Some cottages, we noticed, are still under construction. The land is vast and there are still lots of spaces for potential commercial development. It’s not just about springs if you know where to look. Explore! Personally, this trip for me will be memorable because I was with Joy, my college best friend and Karen, my BFF since first day of high school. And it’s such a miracle that you and me are still good friends. After all that we’ve been through I know we’re cool. As cool as the water. For more information on the entrance fee and cottages rates visit Bato Springs Facebook Page.